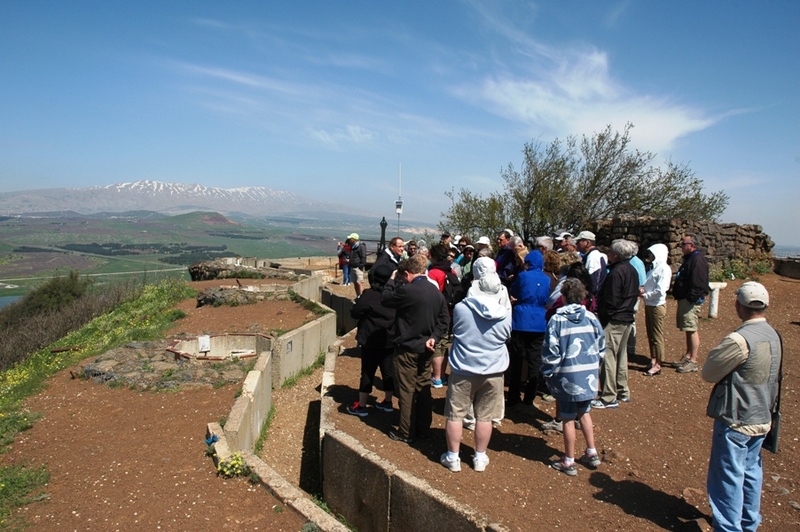 Our first day in the north we were on our way early, crossing the Jordan River and climbing into the Golan Heights. 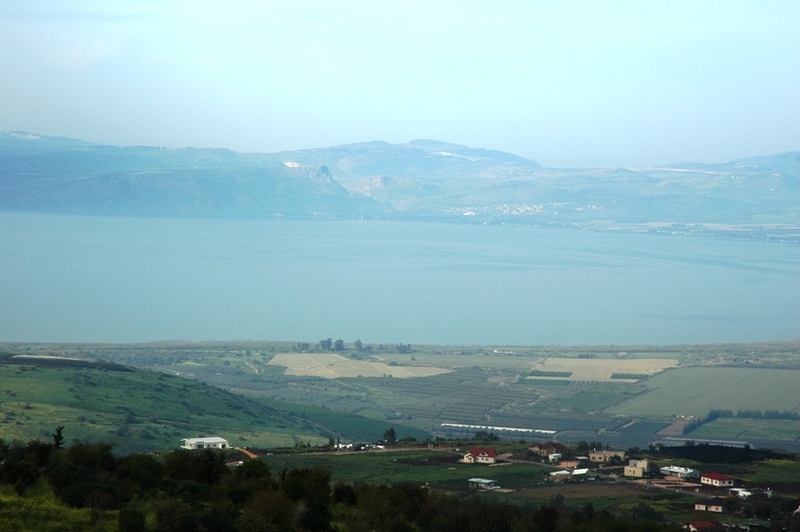 We stopped for a look back at the Sea of Galilee, with Mt. Arbel on the far shore (which we would climb, another day) and in its shadow the recently excavated New Testament city of Magdala, as well as our accommodations at Kibbutz Ginosar. 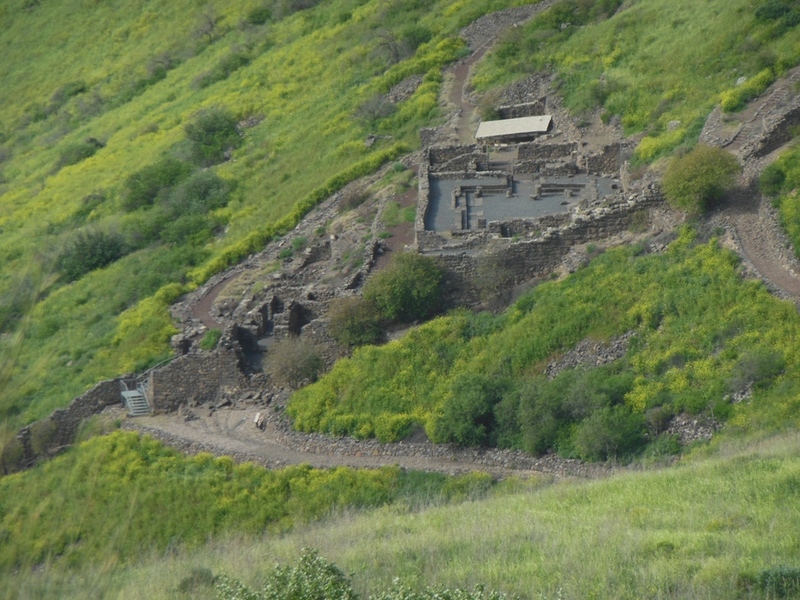 Our first destination was Gamla, the “Masada of the north”). During the First Revolt Jewish Revolt (in 66AD) the Jews gathered here, in what they hoped would be an impregnable fortress city. When the city ultimately fell to the Romans, 9,000 died (compared with 900 at Masada). 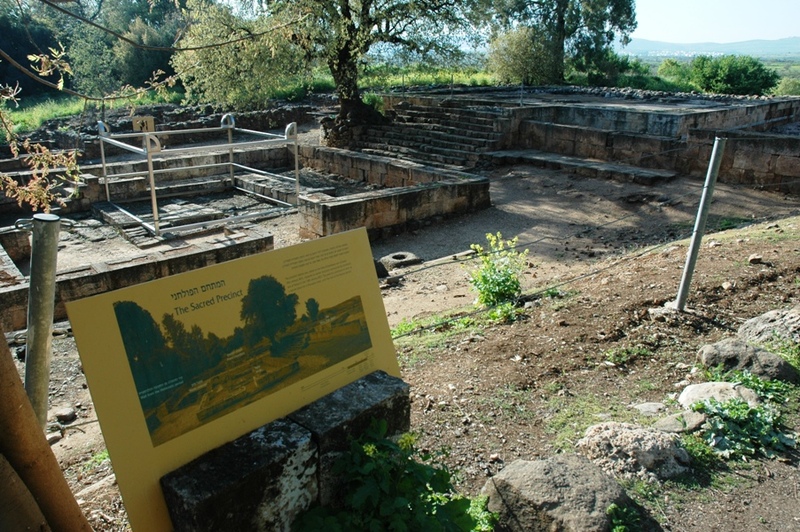 The synagogue along the eastern wall of the city is one of only seven first century AD synagogues found in Israel, probably a synagogue in which Jesus taught. The views from Gamla are gorgeous. In one direction the Sea of Galilee. In another direction the snow-capped heights of Mt. 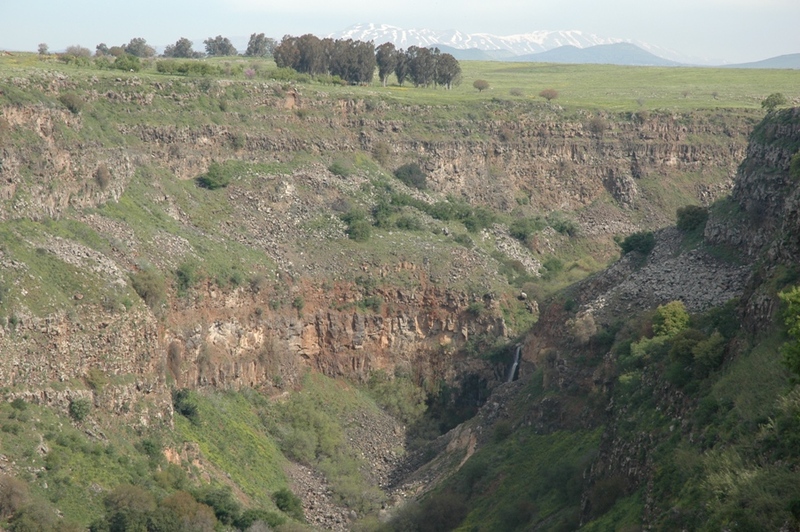 Hermon, 7,300 feet above sea level, with the Falls of Gamla in the valley. At Qatzrin we visited a restored Talmudic village. It’s homes and synagogues are from a few centuries after the biblical period. 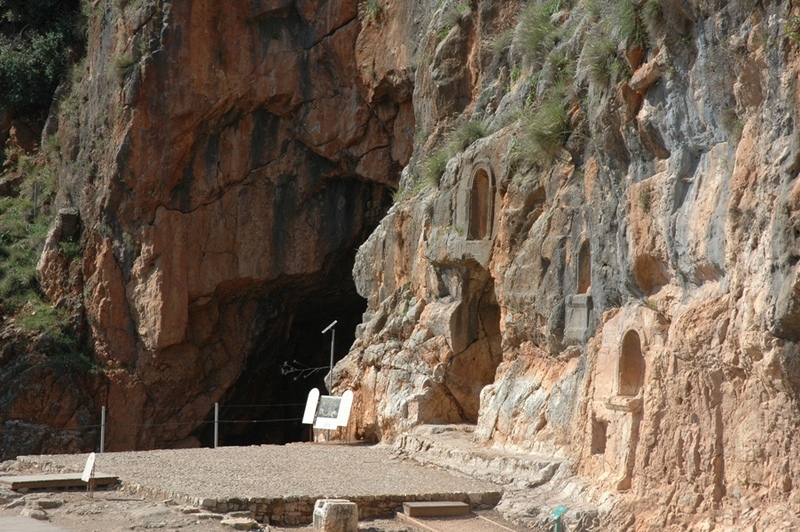 The construction is basalt stone, very common throughout Galilee in many periods. 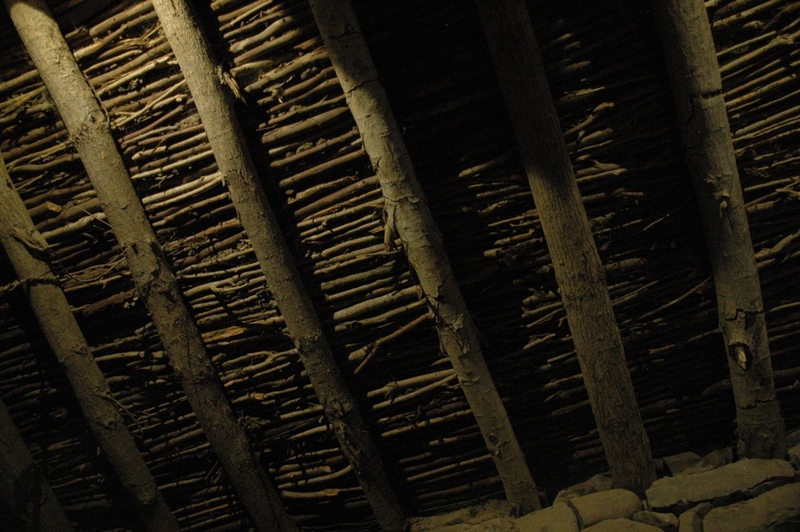 And in one home we saw a roof that reminded us of the story of the paralytic man whose friends lowered him through the roof, to be healed by Jesus. We drove on towards Mt. 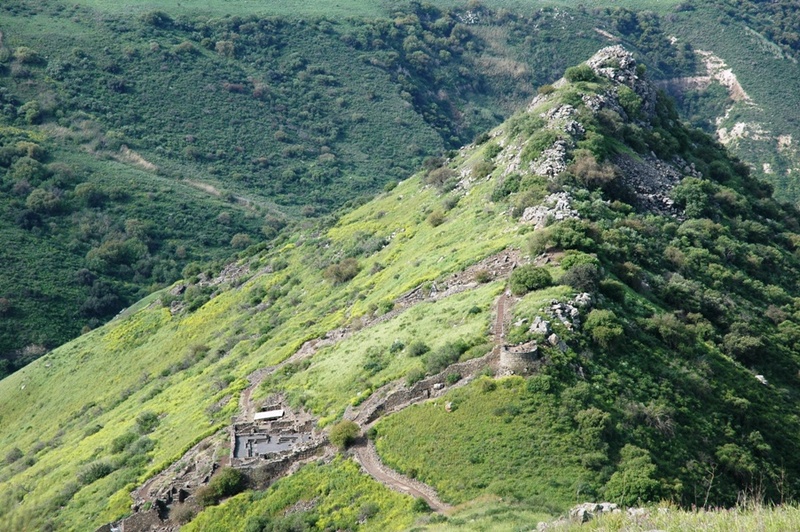 Hermon, to Ben Tal, a volcanic hilltop on which sits an old Israeli military base. We have beautiful views of the Huleh Valley all the way to the Hills of Naphali to the west, and Mt. Hermon to the north. To the north and east we looked across the border, into Syria. 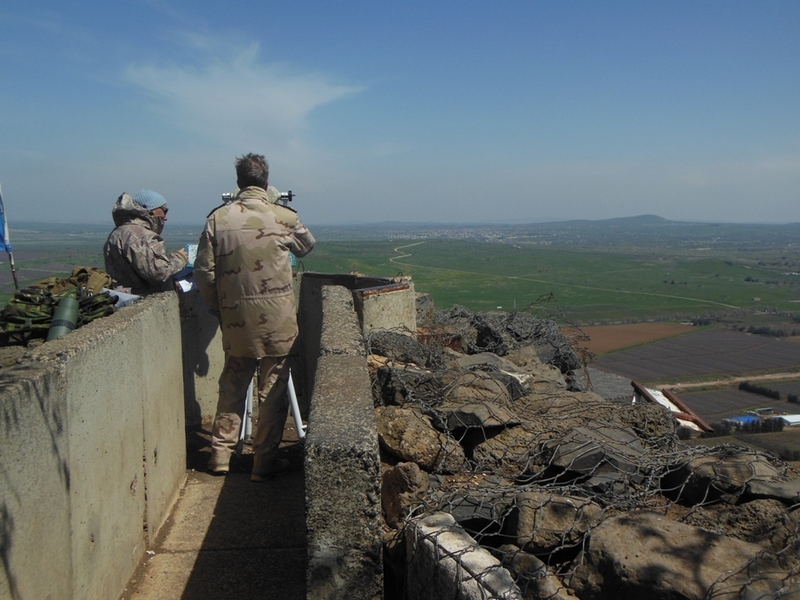 Quneitra, a Syrian military city, was only a few miles away, and UN peacekeeping personnel were keeping an eye on it. 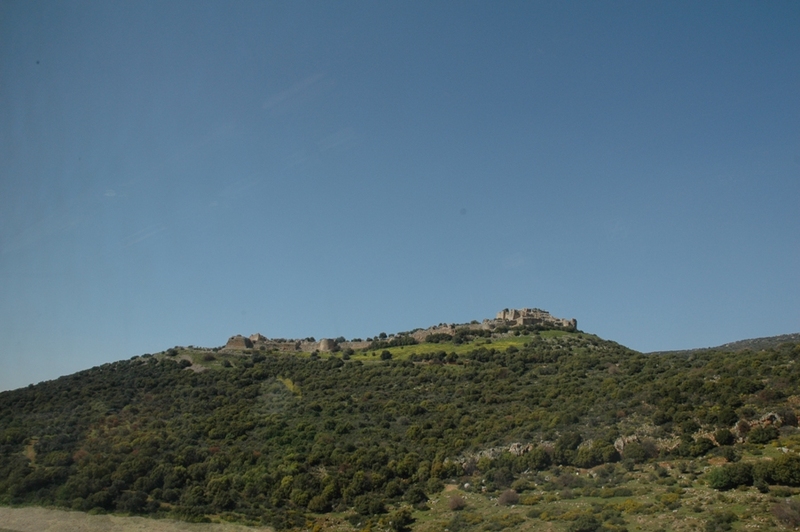 After lunch we began our descent, passing first past the ruins of Nimrod Castle, a Crusader-era fortification overlooking the Huleh Valley. 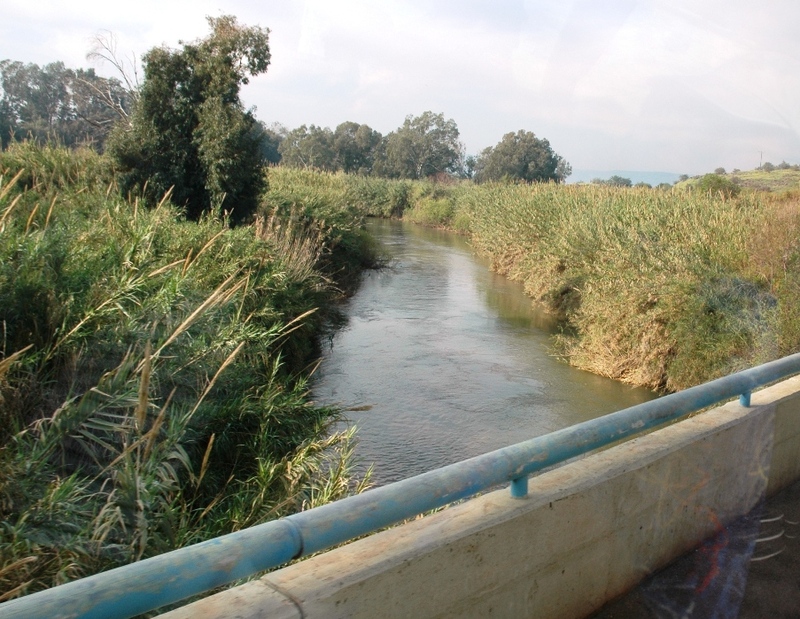 Another tributary of the Jordan begins at Tel Dan, just a few miles away. 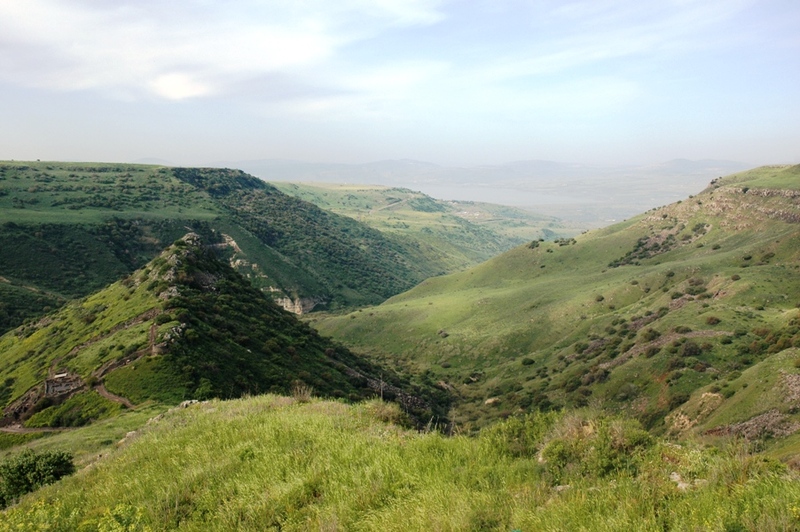 From Dan to Beersheba, the Bible describes ancient Israel. While sitting on the steps of the pagan high place, we read from Judges 18, and from 1 Kings 12 about the “pattern of disobedience” displayed here by King Jeroboam. 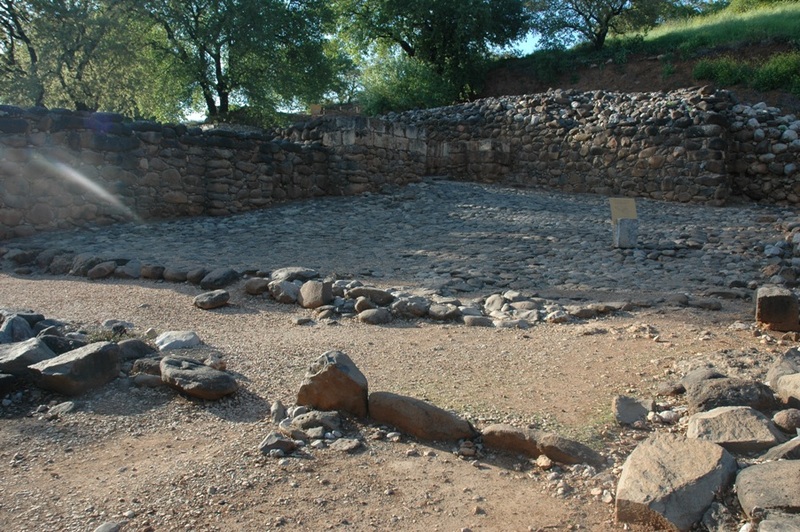 The Bronze Age gate at Dan is one of two very ancient mid brick gates that archaeologists have found and preserved in Israel. 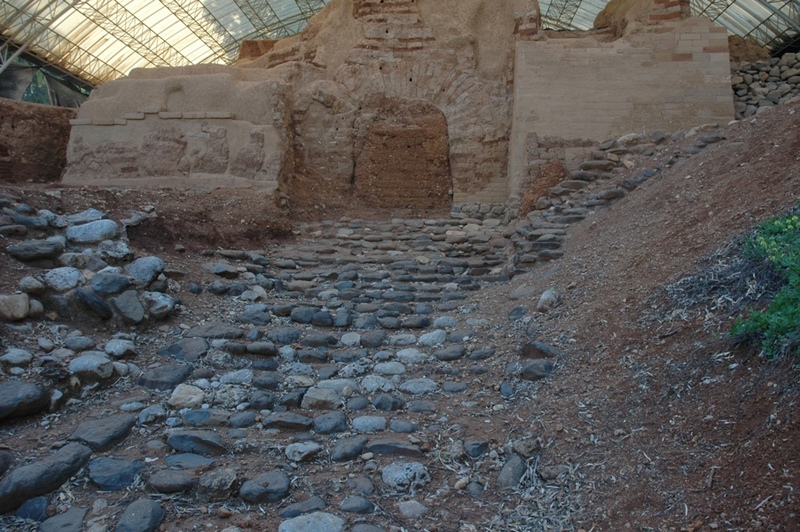 This gate may have been used by the patriarch Abraham (Genesis 14:14). The later Iron Age gate at Dan is of a different design. In the foreground of this photo, along a line of rocks, the Tel Dan inscription was found in 1993, which mentions David, the King of Judah. 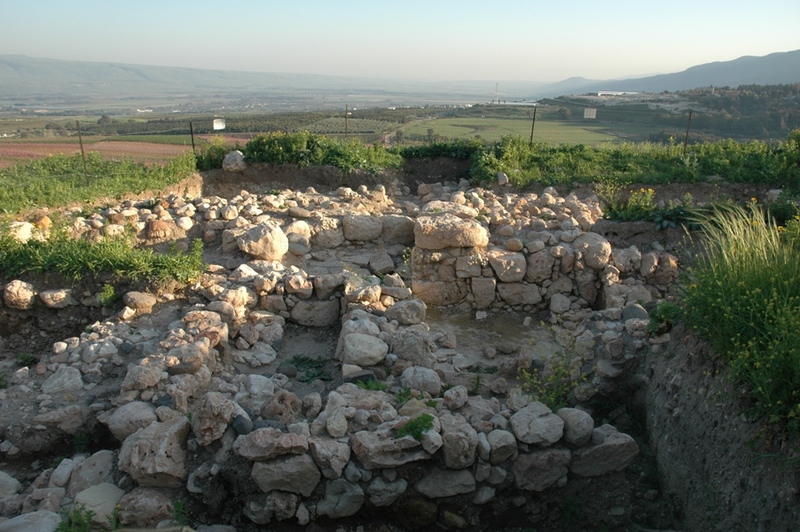 It’s the earliest mention of any biblical person found in an archaeological excavation. We ended the day by climbing the tel of Abel Beit Maacah. This is where our co-leader, Pastor John DeLancey, excavated last July. We read from 2 Samuel 20 about the rebellion of Sheba (the city is also mentioned in 1 & 2 Kings 15). The city is located today on the Lebanon border. 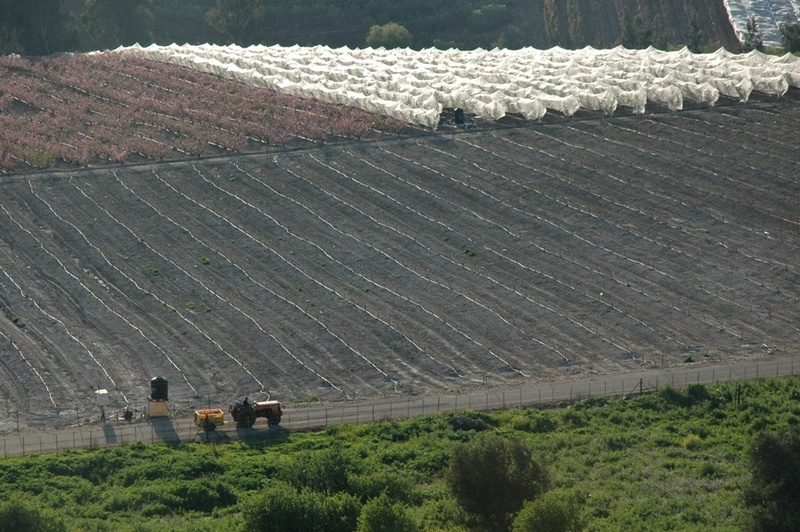 Nearby we watched an Israeli farmer complete his working day, as we started to head back to our hotel for dinner and an evening worship service on the shore of the Sea of Galilee.